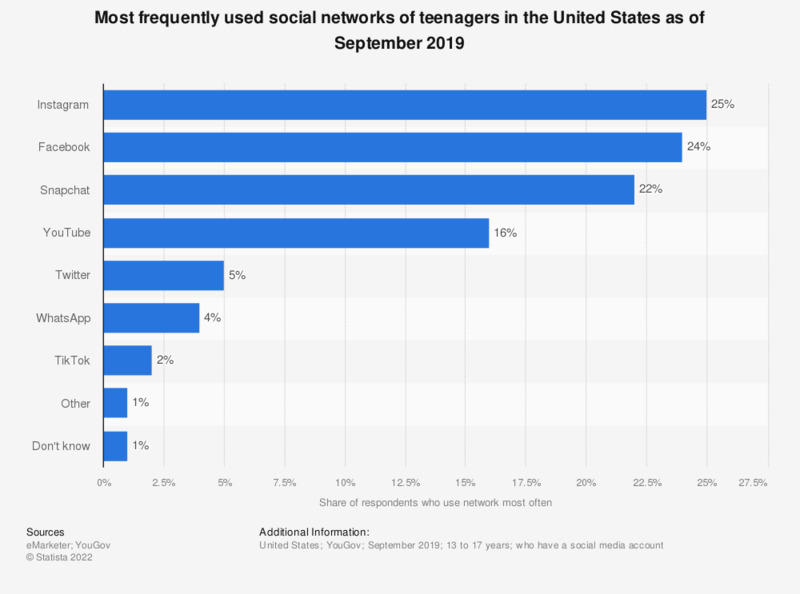 This statistic shows the most frequently used social networks according to teens in the United States as of April 2018. During the survey period, it was found that 32 percent of teens used YouTube the most. Snapchat ranked second with 35 percent of teens using the messaging app most often.